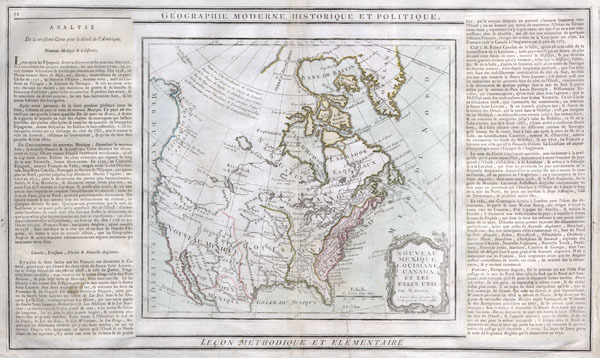 Nouveau Mexique, Louisiane, Canada, et les Etats Unis. very good condition. Minor discoloration on original centerfold. Minor discoloration to left text in lower left quadrant. Older closed tear repaired lower right quadrant. Phillips, 5999. New York Public Library, Map Division, 02-285.